Even though the highest mountain in the world has been conquered many times in these forty six year since the first conquest. Everest is still as mysterious, beguiling and magnificent as ever. Standing incredibly tall silhouetted against the shared sky of Nepal and Tibet, this mountain has many names: Chomolungma, Sagarmatha, Qomolungma or Mt. Everest. Which ever name one chooses, its mystery still lives on. 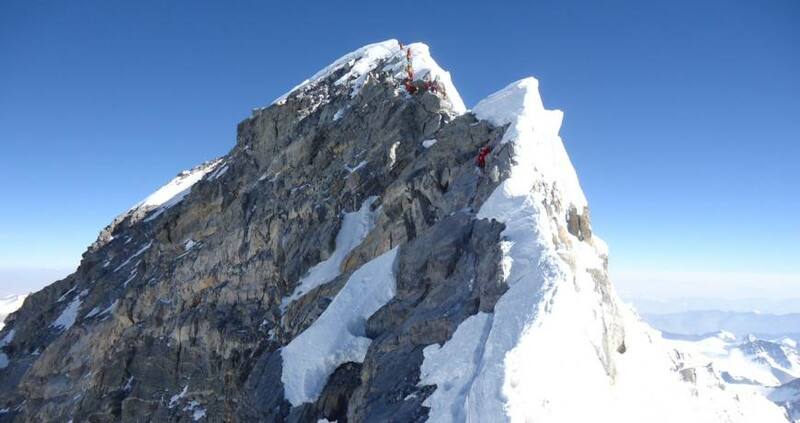 It was first climbed by Sir E. Hillary & Tenzing Norgay in 1953. Perhaps the most colorful story about the early attempts on Everest is the one involving Captain J. Noel and his native companions. He disguised himself as a Mohammaden and made a journey from Darjeeling through Northwest Sikkim and round the north of Kanchenjunga in an attempt to reach Everest. Unfortunately, not even the disguise could see him through. His mission was out short just sixty five kms from Everest when a posse of Tibetan soldiers forced them to turn back. Although there are a dozen or so routes on Mt. 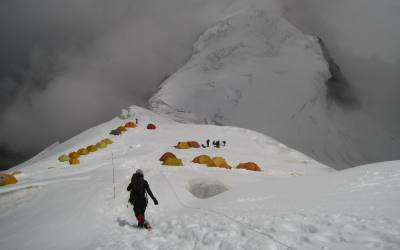 Everest we follow the classical route, traditionally the most reliable way to the summit. Day 01 Arrival & Transfer to Hotel in the afternoon sightseeing around Thamel (Tourist Area) & Walking tour to Kathmandu Durbar Squire. Day 03 Kathmandu to Lukla Phakding (2,600m) - Fly to Lukla. Day 01 Arrival & Transfer to Hotel in the afternoon sightseeing around Thamel(Tourist Area) & Walking tour to Kathmandu Durbar Squire.